Spotify to Taylor Swift: "You belong with me." After Taylor Swift’s label Big Machine Records pulled her catalog from Spotify on Monday, the music-streaming service created two playlists and professed its love for her in blogs begging the pop star to change her mind. Spotify announced Swift’s decision to remove her music from the service via a blog post on its corporate website on Monday afternoon. It included two playlists: one directed at the star entitled "Playlist Poetry for Taylor Swift" and another for fans entitled "What to Play While Taylor’s Away." The company said that out of its 40 million users, about 16 million have played Swift’s songs in the last month and she’s featured on 19 million playlists. The blog post began with Spotify’s business plan and ended with a plea. "We hope [Swift] will change her mind and join us in building a new music economy that works for everyone," Spotify wrote in the blog. "We believe fans should be able to listen to music wherever and whenever they want, and that artists have an absolute right to be paid for their work and protected from piracy." Spotify added that it pays nearly 70% of its revenue back to the music community. At the end of the post, the service meshed lyrics from Swift’s song "Love Story" into its plea for her to return. "Taylor, we were both young when we first saw you, but now there’s more than 40 million of us who want you to stay, stay, stay. It’s a love story, baby, just say, ‘yes,’" the streaming service wrote. Spotify continued to yearn for Swift on social media, where it launched the hashtag #JustSayYes and proclaimed its love for the star in posts on Twitter and Facebook. Spotify global communications VP Angela Watts declined to comment on the company’s response via email. "We'd rather not comment on this right now - neither the issue nor the comms plan behind it," she said. Watts added that Spotify is not working with a PR firm to respond to this incident. Big Machine Records and Swift have not yet released a public statement on why they decided to pull the artist’s music from Spotify. 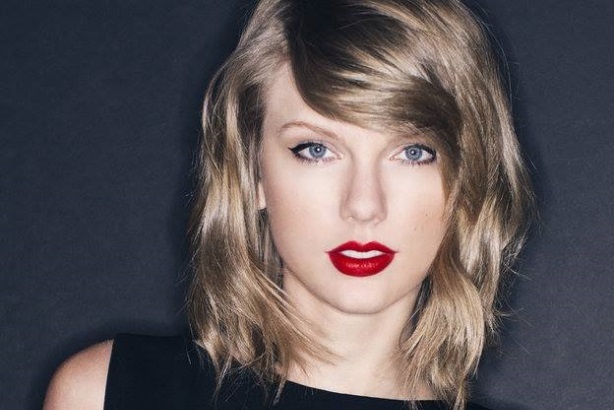 Swift, however, aired her stance on music streaming in a Wall Street Journal op-ed in July. "Music is art, and art is important and rare. Important, rare things are valuable. Valuable things should be paid for," she wrote in the Journal. "It's my opinion that music should not be free, and my prediction is that individual artists and their labels will someday decide what an album's price point is." This isn’t the first beef an artist has had with Spotify. In July 2013, Radiohead frontman Thom Yorke blasted the music service on Twitter, complaining that it pays new artists nothing. He pulled his solo music from the service, as well as that of his side project, Atoms for Peace. Through Spotify, artists earn on average less than 1 cent per play, according to Spotify Artists, a website that explains the service to artists.